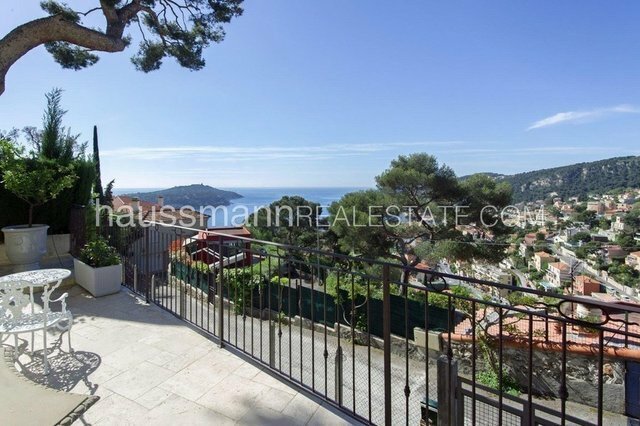 VILLEFRANCHE SUR MER :Charming 1930's house, typical of the Riviera, ideally located within easy walking distance to the old town and to the sea with breath taking views over the sea and Cap Ferrat. The house offers a generous reception area opening onto a large terrace with a jaccuzzi, 4 bedrooms, 2 bathrooms and a big basement.Garage included. The property has been lovingly refurbished and is in perfect condition. This is a much better proposition than an apartment whilst remaining easy to lock up and leave. Extraordinarily calm location within minutes of everything you need !